There’s no doubt we can feel the Christmas spirit in the air! 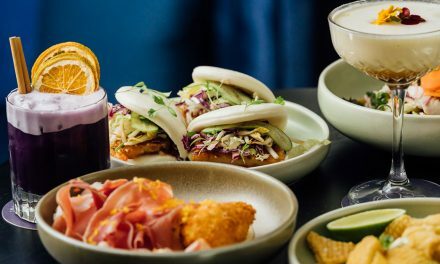 Lucky for us, multiple eateries around Canberra are putting on some special Christmas eats that will make you feel as jolly as Michael Buble’s Christmas CD (if that’s possible). Try them while they last! The name is most relevant for this one! 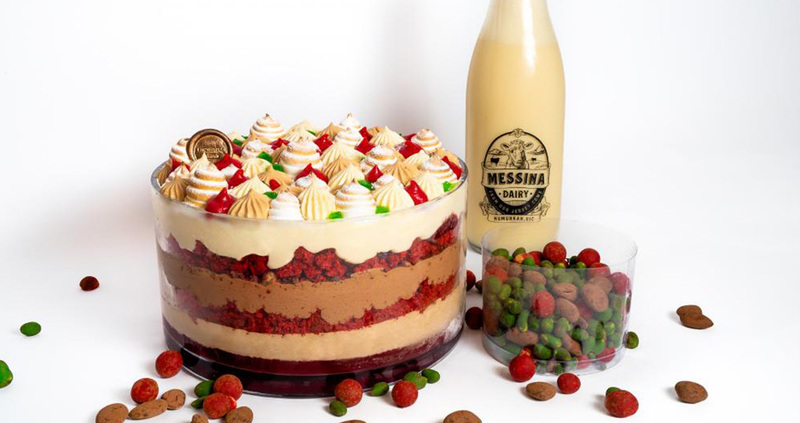 We’re talking an insanely chocolatey coma-ful trifle with their amazing dulche de leche mousse, combining the love of red velvet cake, vanilla Chantilly cream, chocolate covered biscuit crumbs, Italian meringue, sour cherry & amarena cherry jelly and lime gel for that fruity finish. 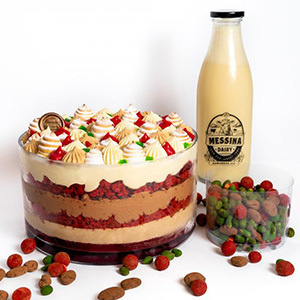 But wait that’s not enough- they’re adding a litre of Messina Brandy Custard and a bag of choc coated nuts to finish off packed in a Messina branded cooler bag. You can pick your jaw up off the ground now. Order yours here. 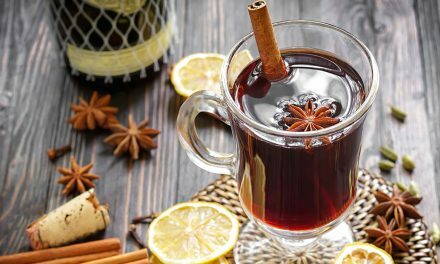 Coffee that tastes like Christmas- yes please! 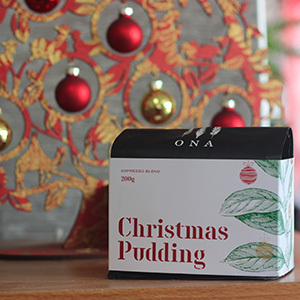 The team from ONA have announced a limited coffee blend that has a flavour profile reminiscent of traditional Christmas flavours! A roasted blend of three Central American coffees, they are to be paired with milk to highlight the Christmas flavours including fruit cake, custard and raisin. Find this one at The Cupping Room, Highroad, ONA Coffee House and ONA Manuka. 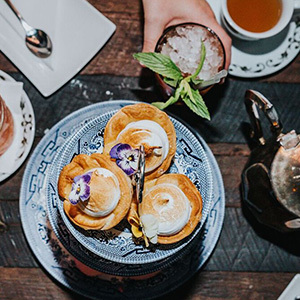 You deserve to indulge any time this month, and what better way than with White Rabbit’s Christmas-themed tipsy tea! Available every Saturday and Sunday of the month, the spread includes delicious sweet and savoury treats such as the iconic Yorkshire pudding or pork & fennel sausage rolls with house made tomato relish. For those with a sweet tooth, try the choc mint device with crushed candy cane garnish or fruit mince mini cupcakes with cream cheese frosting. Pair this with some cocktails and you’ve got a Merry Christmas! 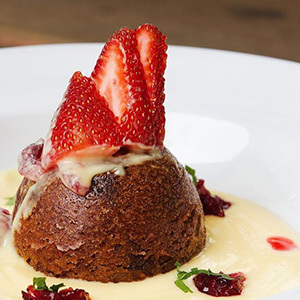 The Hellenic club are putting on a show with a festive trio of roast meats, and a mouth-watering pudding and custard dessert! Perfect for families or friends to enjoy and with a price of only $30 you’ll have more cash to put towards spoiling your loved ones. Shaped like the Christmas decoration you hang on the door, this one is sure to make it feel like the festive season! 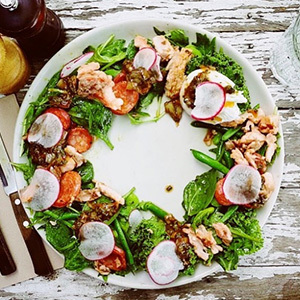 A delicious crunchy and refreshing salad from Penny’s is perfect for a hot Aussie Summer’s day. 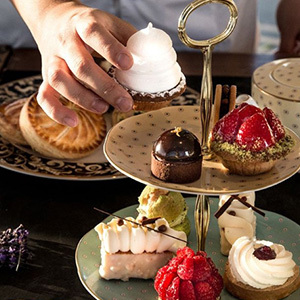 Amazing little bites of Christmas heaven are at the gorgeous Pialligo Estate. This amazing spread features Santa strawberry tartlets, eggnog parfait, dark chocolate yule log and more, it makes for the perfect place for a Christmas catch up! Available on specific dates throughout December, make sure to book in here. So that’s some festive feeds to get you feeling jolly, but what about your Christmas function? 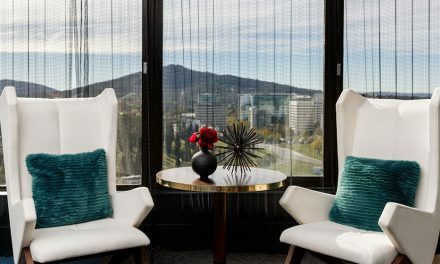 BOOK YOUR LAST MINUTE XMAS FUNCTION HERE: Oh S#!% It’s Christmas.